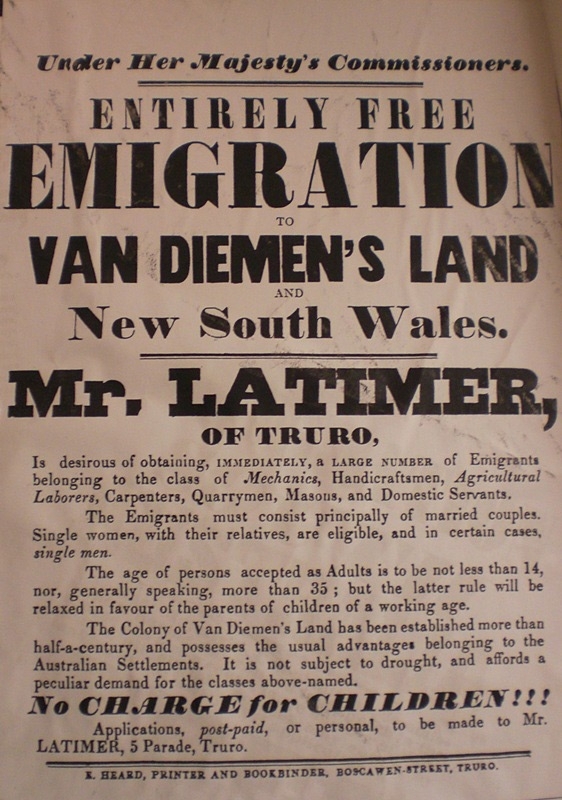 The first assisted migrants to arrive in Van Diemen’s Land were the wives and children of ticket-of-leave convicts who were given free passage on female convict ships. The Government hoped they would create a more settled and lawful community. In the 1820s military pensioners were also given free passage and small land grants in exchange for working as guards on convict ships and helping to police the colony. Over the following decades numerous assisted emigrant or ‘bounty’ schemes were established, by government, religious, philanthropic, agricultural and settler organisations. Most were funded by the sale of land in the colony. During the 1800s Britain suffered a post war depression, a terrible famine and massive unemployment, caused by industrialisation and changing farm practices. Many thousands of people were desperate enough to take free or subsidised one-way passages to the end of the earth. 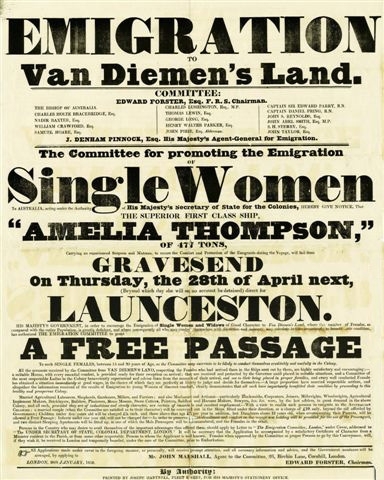 In boom years, up to 5,500 assisted migrants arrived in Tasmania. 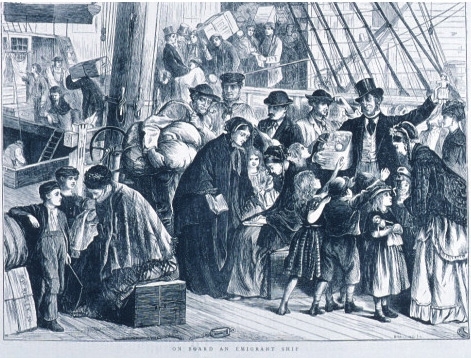 Passengers on an emigrant ship. 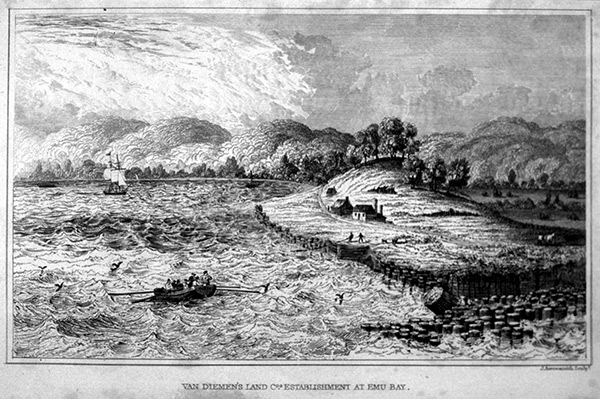 The VDL Company was formed in 1825 to obtain and develop land in Tasmania. It obtained large tracts of land in North West Tasmania far from the settled districts and chartered ships to bring out farming equipment, supplies and indentured labourers. Tasmanian Archives and Heritage Office. 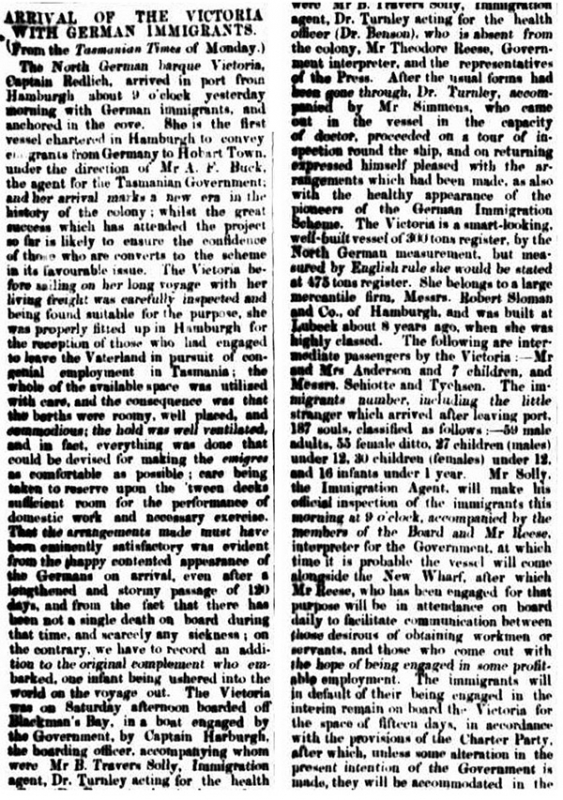 'Appoline' passengers were among almost 4,600 Government assisted migrants who arrived in Van Diemen’s Land in 1842 and 1843. The scheme was then cancelled because it could no longer be supported by the colony’s land fund. 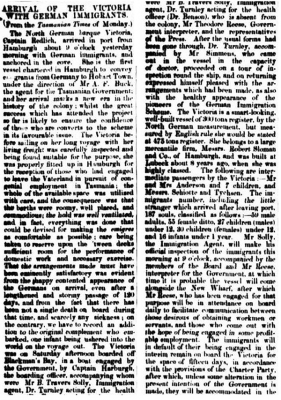 Osborne Geeves and Eliza Hickman probably met as 11 year olds in 1842 when they travelled to Van Diemen’s Land on the emigrant ship, 'Appoline'. 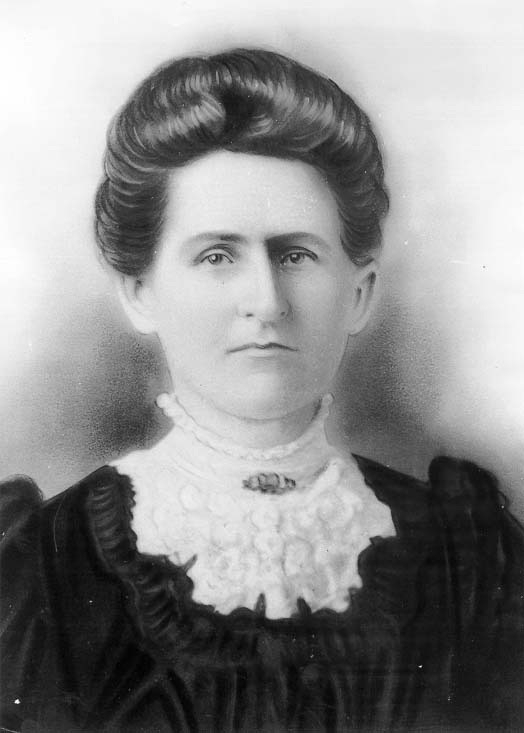 Osborne’s father, a lay preacher, was asked by Lady Franklin to minister to the people of Franklin, a small settlement she had established south of Hobart. Later he established the town of Geeveston while Eliza’s father planted orchards in Lenah Valley. 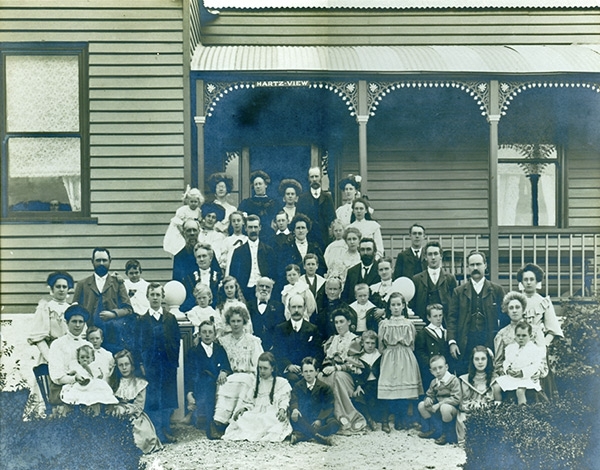 Osborne and Eliza married and became the forebears of a large family in the Huon district. Dr Richard Geeves. 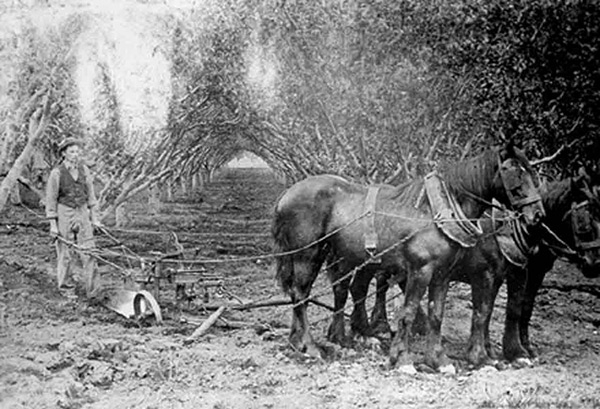 An early orchard in Franklin. Poster to attract single women to Launceston. Men outnumber women in pioneer and convict societies. 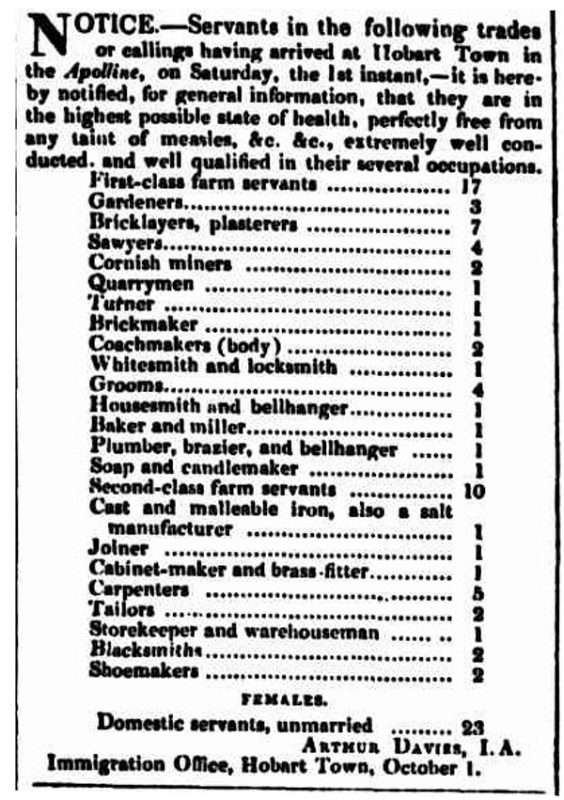 To lessen the imbalance and to attract good domestic servants, the ‘Bounty System’ was introduced in 1831 for women between 15 and 30. 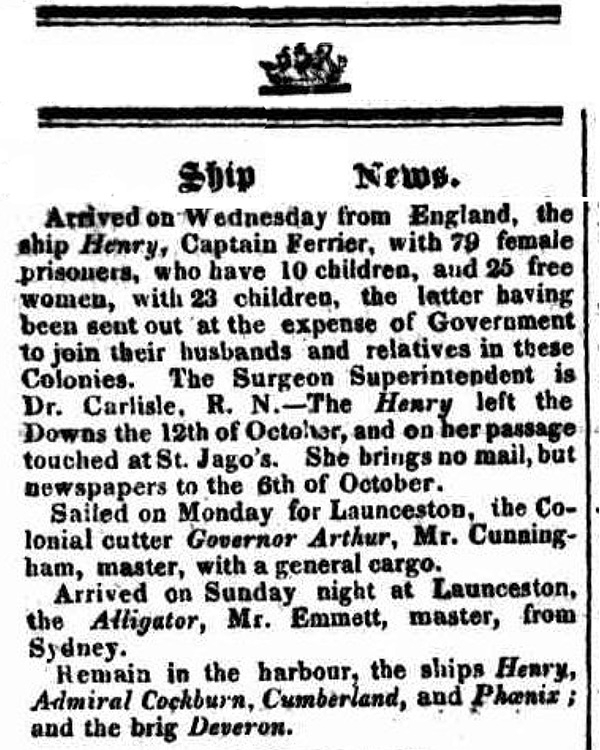 Agnes Sargent, a widow, and her four daughters sailed on the voyage advertised, hoping to establish a school in Launceston. The daughters all received the bounty but Agnes paid full fare. Launceston c1859: Sarah Ann Fogg. Tasmanian Archives and Heritage Office. Private as well as Government organisations ran migrant schemes. The Launceston Immigration Aid Society was founded by Congregationalists and linked to the Anti Transportation Movement. Their British agent recruited respectable poor people who would eventually repay their fares. The Society brought out over 850 emigrants on five ships between 1854 and 1862. 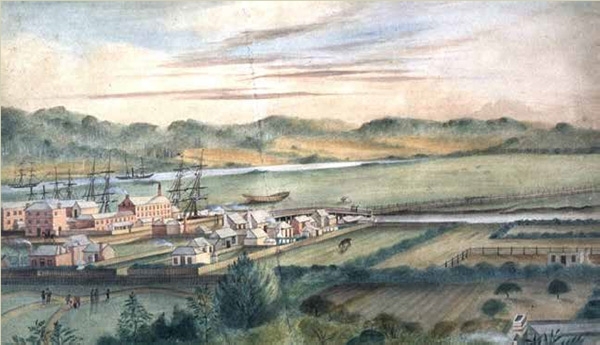 The first three vessels sailed direct to Launceston while later migrants came via Melbourne. 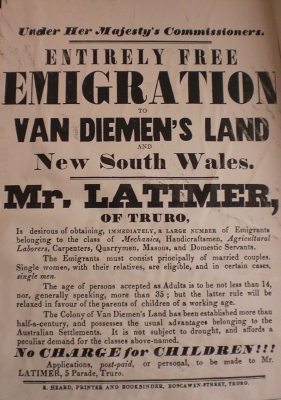 Free emigration to Van Diemen’s Land poster. Often bounty schemes targeted specific population groups, such as unmarried women, mechanics and their families, Irish domestics, or Chelsea (military) pensioners who exchanged their pensions for free travel and a small land grant. Tension sometimes arose between a British desire to get rid of paupers and drunks and the colonist’s desire for respectable and useful labourers. The 'Great Tasmania' troop transport at anchor in the Mersey. Between 1853 and 1857, over 15,000 assisted migrants arrived in Tasmania, more than any other period during the first century of settlement. 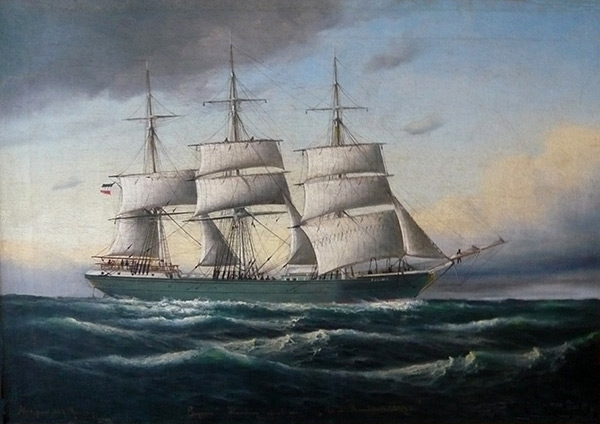 The new clipper, Great Tasmania, brought 533 on her inaugural voyage in 1856. She had been expected the year before but was withdrawn to take troops to the Crimean War. Although built primarily as a cargo ship she was very popular with passengers. 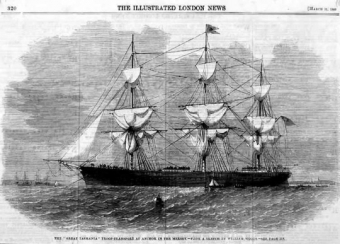 Illustrated London News, March 11 1855. 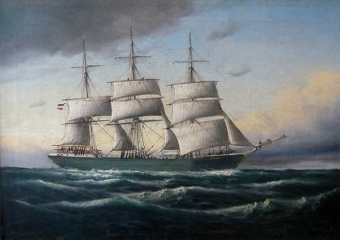 The 'Eugenie', Alfred Jensen 1889. Six shiploads of Germans arrived in Tasmania in 1855 with most settling around Lilydale near Launceston. They were the colony’s first large group of non-British immigrants. 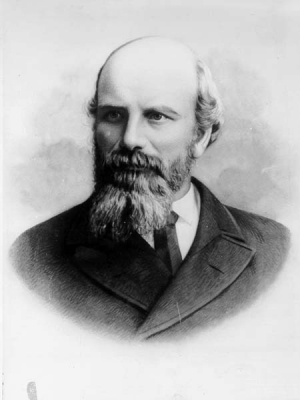 In the early 1870s Frederick Buck was sent to Germany by the Tasmanian Government to recruit more migrants. Several vessels arrived with the majority of newcomers settling in the Collinsvale area near Hobart. Buck returned on the Eugenie in 1872 along with 198 more migrants.